A Warhawk welcome is in order for Scott Roberts as the new principal for Bourbon High School. Scott has a wide range of experiences that will serve our HS school well during this transition period. Before entering the education profession Scott was in law enforcement locally and served as a DARE officer. Since entering the education profession, Scott has been a high school and middle school band director for many years. He actually began his teaching career many years ago at Bourbon as a part-time band director for one year before getting a full-time position in the Northwest School district. In addition to classroom teaching, Scott also worked as a GED Instructor at the MO Eastern Correctional Center in Pacific, MO for 5 years. Scott has been an administrator for the past 15 years. He was Assistant Principal at Houston High School for 7 years and Assistant Principal at Salem High School for 3 years. Scott was then promoted to Salem Middle School Principal where he has served in this leadership role for the past 5 years. Scott is most passionate about high school education, so he is excited to get back to the high school setting. From talking to Scott's fellow administrators they comment that he is at nearly all school and sporting events supporting "his" kids (even events where he is not supervising) and he often helps the district out by driving bus routes. He is actively involved in the Salem community as president of the Chamber of Commerce and is a leader at his church. Scott has family in the Sullivan area and his son is in the process of relocating to this area. He is looking forward to moving here to help his son and be near his grandchildren, He plans to look for housing in the Bourbon area and become an active member of the community. It is exciting for the High School to have such an experienced, collaborative person joining their team as they continue the great work that has been in place with Mrs. Smith's leadership. Dena has plans to work with Scott over the coming months for a smooth transition. Scott plans to be at school on Wednesday, March 27th to meet the high school staff and students. 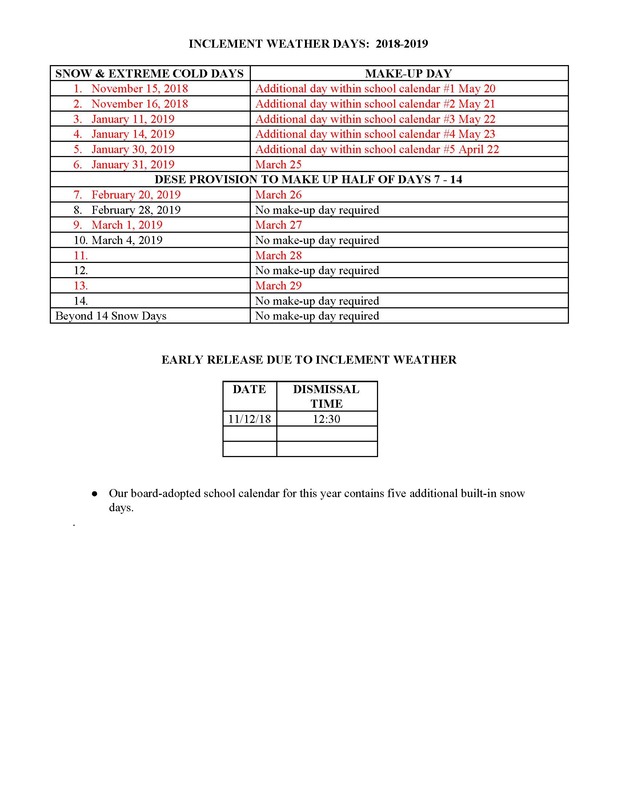 Please note: Since we were not able to use Jan. 21 and Feb 19 as make up days, due to inclement weather on those days, they count as originally planned as holidays. 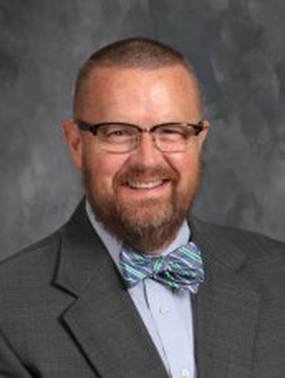 We are pleased to extend a Warhawk welcome to Dr. Kyle Gibbs as the new superintendent of the Crawford County R-I School District beginning July 1, 2019. Dr. Gibbs will be transitioning to the superintendency after serving as elementary school principal for the past six years. Dr. Gibbs is completing his fourth year as principal of Stowell Elementary School in Hannibal. 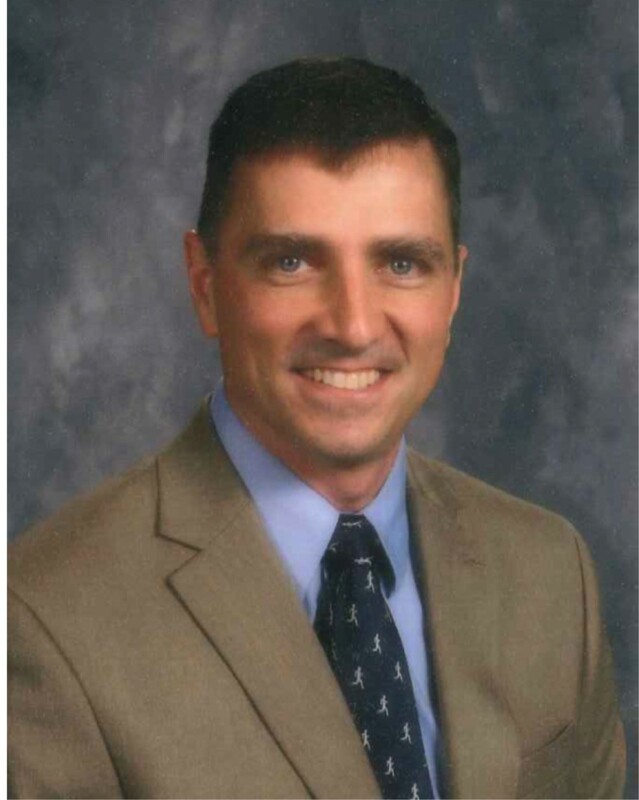 Previously, Dr. Gibbs served as principal of Iron County C-4 in Viburnum for two years and as Assistant Principal for two years in the Gasconade County R-II School District. Prior to his move to administration, Dr. Gibbs was a teacher for 12 years. He taught a variety of grade levels, primarily third grade, fifth grade, and middle school math and science. Dr. Kyle Gibbs grew up in South Central Missouri on a farm in Crawford County. He graduated from Evangel University in Springfield, Missouri, with a Bachelor’s Degree in Elementary Education and Special Education in 1999. In 2005, Dr. Gibbs graduated with a Master’s Degree in Educational Administration from Southwest Baptist University in Bolivar. Dr. Gibbs completed his Doctoral Degree in Educational Leadership in June of 2018. Dr. Gibbs and his wife, Amy, along with their four children will be relocating to the Bourbon area. Their children range in age from 8 to 17. Dr. Gibbs loves the outdoors, home improvement, and landscaping projects. He is an avid runner and has completed marathons and ultramarathons all across the country. Also note that even though the t-shirt sales are over, Ms. Lewis still has a few shirts on hand. If you are interested in purchasing, please contact her via email at lewist@warhawks.k12.mo.us. and her journey to wellness. 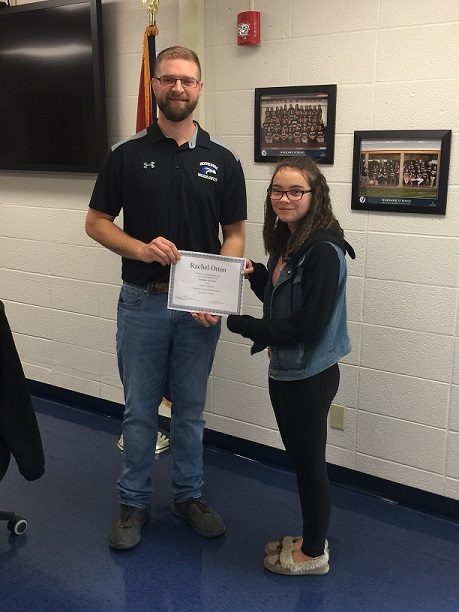 Bourbon High School Junior, Rachel Orton, was presented a Certificate of Appreciation from the Crawford County R-I School Board President, Stephen Waldron, for her service as Student Advisor to the Board during 2018. Lexi Tackett will begin her term as Student Advisor to the Board at the January 17 Board Meeting. We are currently accepting applications for Substitute Bus Driver, Substitute Teacher, Substitute Nurse. If you are interested in any of these positions, please click the Employment Opportunities box on the Homepage to apply. If you are interested in looking at schedules or paying on lunch accounts, you should now be able to log into the Parent or Student Portals. Please feel free to contact the office if you have trouble logging in. Bourbon graduating class of 2022 are selling stadium seats. The cost of the seats are $55.00 for regular seats, and $65.00 for extra-large. The logo above will be printed on the back of each chair in white lettering. Please fill out the bottom portion of this page and return your order form and payment to the Bourbon High School Office. Click anywhere on this block to see picture and order form.